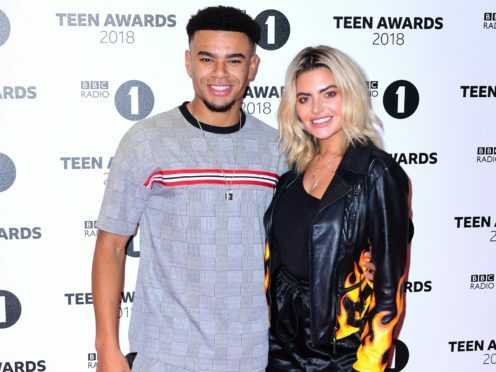 Love Island stars Megan Barton-Hanson and Wes Nelson have split. The pair came fourth place on the reality show last year, and have recently seen their romance thrust into the spotlight as Nelson takes part in ITV’s Dancing On Ice. Barton-Hanson announced their break-up on Instagram just over a week after admitting to being jealous about seeing Nelson dancing with professional ice skater Vanessa Bauer on the show. 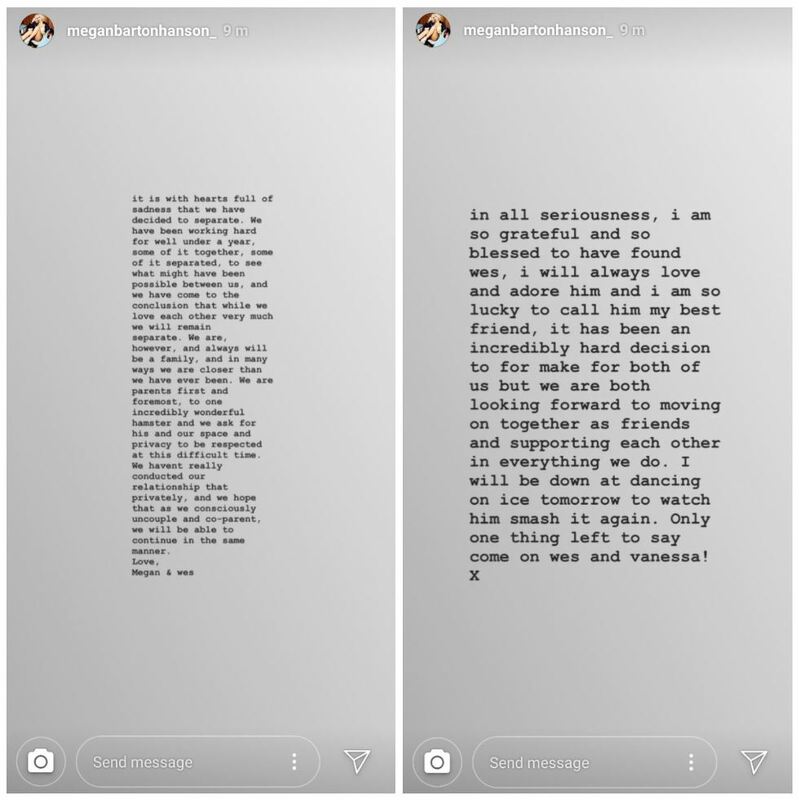 The message, posted on her Instagram story and signed from both of them, read: “It is with hearts full of sadness that we have decided to separate. She wrote that they are “parents first and foremost, to one incredibly wonderful hamster and we ask for his and our space and privacy to be respected at this difficult time”. Barton-Hanson said she will attend Sunday’s episode of Dancing On Ice to support Nelson and Bauer. Her post comes after hitting out at Bauer, who she accused of having a “tactical break-up” with her boyfriend on the night of Nelson’s first performance on Dancing On Ice and for not inviting her to watch them train. She later said she was wrong to publicly attack Bauer, and revealed she was finding it difficult with Nelson’s training. Barton-Hanson told ITV’s Loose Women that she and Bauer were privately settling their issues. She also told of her upset at being accused of looking “bitter and sour” while in the audience on Nelson’s first appearance in the show. The couple are the latest of last year’s series of Love Island to end their relationship, following splits from runners-up Laura Anderson and Paul Knops and Georgia Steel and Sam Bird. Love Island winners Dani Dyer and Jack Fincham were rumoured to have split last year, but they are still together.